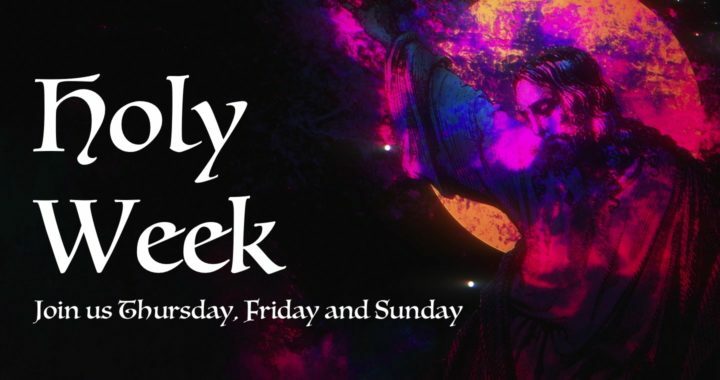 Join us this week as we retrace the final days of Jesus’ life, and in doing so, find purpose and courage for our days ahead. Maundy Thursday: 6-7pm We’ll share a variation of a Seder/Passover meal — the same meal that Jesus would have shared with his disciples at the Last Supper. Kids are encouraged to join us. Good Friday: 7-8pm We’ll retrace Jesus’ final hours through readings, prayer and music. This is always one of our more meaningful gatherings each year – we hope you’ll be able to join us. Again: kids are welcome. Easter Tailgate: 8:30am Nothing signals celebration like a good tailgate. We’ll have some food ready and waiting at 8:30, and we’d be grateful if you brought something to pass for breakfast. If the weather doesn’t cooperate, the party will move inside.